Paramount's cornerstone franchise has had quite the impact. This movie has been a juggernaut. Love them or hate them, there's no denying that Viacom's (VIAB - Get Report) "Transformers" films are an indelible part of recent Hollywood history. Ever since the first movie in the robo-franchise was released into theaters a decade ago, the film industry has changed its approach to producing, releasing and reporting on movies. 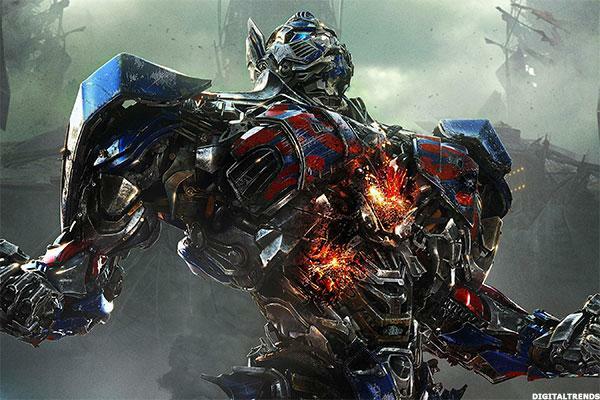 With the latest installment "Transformers: The Last Knight" hitting theaters this Wednesday, TheStreet decided to look back at the legacy of Michael Bay's franchise. 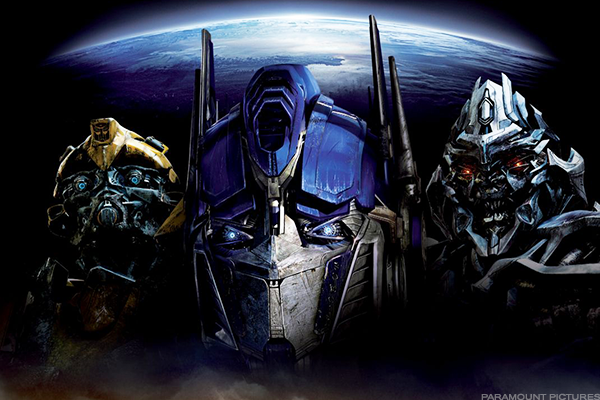 Here are the five ways that the "Transformers" films have impacted the film landscape. 1. 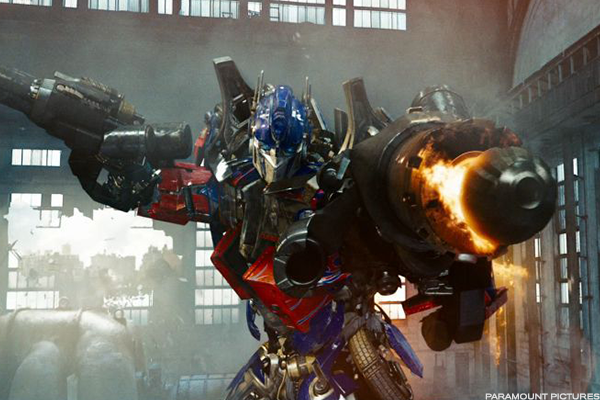 "Transformers" shows Hollywood that toy-to-film adaptations can be blockbusters. Before the first "Transformers" film was released in 2007, the highest grossing adaptation of a toyline was 1985's "The Care Bears Movie" with $22.9 million at the box office. "Transformers" overtook that in its first day. The film grossed $319.2 million in its domestic run and over $700 million worldwide, becoming a smash hit for Paramount and Viacom and proving that toys could become big-screen stars. Before "Transformers," there hadn't been a big-budget adaptation of a toyline; since then, it seems as though studios can't stop throwing money toward such adaptations. Some attempts to translate children's properties into big-screen success have been misguided, such as 2012's notorious flop "Battleship" and last year's "Max Steel." However, several have been successful in the wake of "Transformers": films like 2009's "G.I. Joe: Rise of the Cobra," 2014's "The Lego Movie" and last year's "Trolls" were all able to capitalize upon strong toy brands to achieve blockbuster grosses. It's doubtful whether we would have any of these films had "Transformers" not done it first. 2. 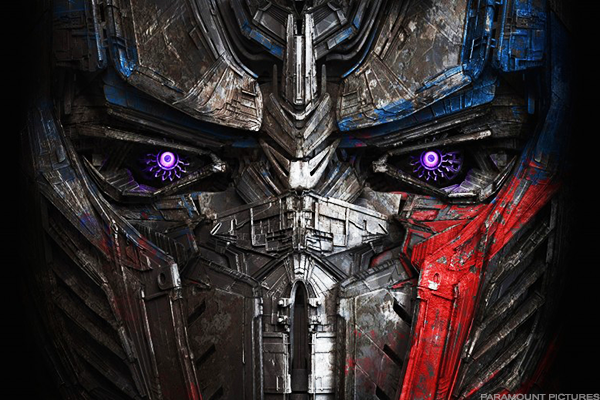 "Transformers: Revenge of the Fallen" sets June opening-weekend record. For the first sequel to "Transformers," Paramount decided to move away from the Fourth of July corridor (where the first movie had opened) and gamble on a June release date. 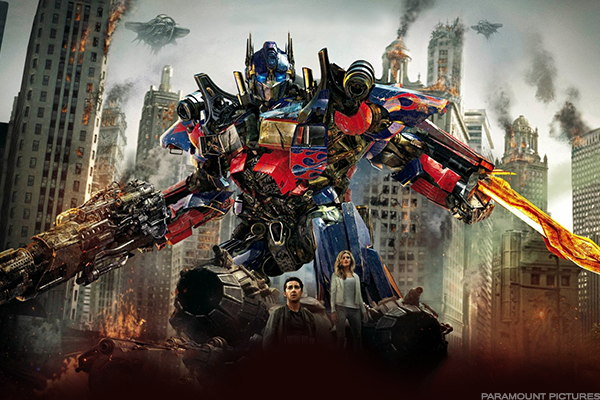 In the industry's history, no movie opening in June had ever broken the $100 million threshold on opening weekend, and only one had exceeded the $70.5 million debut of the first "Transformers" (2004's "Harry Potter and the Prisoner of Azkaban," with a $93.7 million gross). Given that Paramount was counting on the sequel out-grossing the first installment on opening weekend, the June 24 release was a risky venture and had all of Hollywood watching. "Transformers: Revenge of the Fallen" smashed the June record upon its release, opening to a mighty $109 million on opening weekend and $200.1 million over its first five days (the film opened on a Wednesday, making the $100 million+ weekend even more impressive). The film played a large part in democratizing the release calendar: June, once considered a somewhat muted summer month, now became a prime spot for blockbusters to land. A year after "Transformers 2" broke the June record, it was broken once again, by Disney's "Toy Story 3" ($110.3 million opening weekend). Since then, June has seen no shortage of $100 million+ debuts, including "Man of Steel," "Jurassic World," "Finding Dory" and this month's "Wonder Woman." 3. "Transformers: Dark of the Moon" is a monster worldwide. Though the first two "Transformers" films had been no slouches at the international box office (making $390.5 million and $434.2 million from foreign markets), the third installment was where the franchise really broke out abroad. The foreign total for "Transformers: Dark of the Moon" was $771.4 million, and the threequel set opening weekend records in at least ten foreign territories. Most notably, "Dark of the Moon" raked in $165.1 million from China, a territory that was just beginning to produce blockbuster grosses for movie studios. The worldwide opening was the second-largest of all time and marked a sea change in reporting on box office numbers. As the foreign market expanded in the early 2010s, the international success of films like the third "Transformers" proved that domestic numbers could no longer be the sole emphasis in box office reporting. Though "Dark of the Moon" finished $50 million behind its predecessor domestically, it dwarfed both previous installments in foreign markets and finished with $1.1 billion worldwide. In an earlier era, the unfavorable domestic comparison to "Revenge of the Fallen" would have been the story; by 2011, the international market was simply too big to be ignored in the headlines. 4. "Transformers: Age of Extinction" becomes center of numbers-fudging controversy. On the eve of the late-June release of "Transformers: Age of Extinction," there had yet to be a $100 million+ debut in 2014. This was a rarity in the modern era, and the cause for much industry hand-wringing. People wondered if the next "Transformers" film could break the trend--the third movie, which had opened on a Wednesday, had fallen just short of $100 million in its first weekend with $97.9 million. Given that the fourth "Transformers" would be foregoing the mid-week release strategy and debuting on a Friday, many thought that it could break $100 million in its first three days, although tracking indicated it would be close. And close it was--suspiciously close. Paramount reported on the Monday afternoon following the film's release that the weekend result was $100.03 million, just barely giving the studio credit for 2014's first $100 million debut. 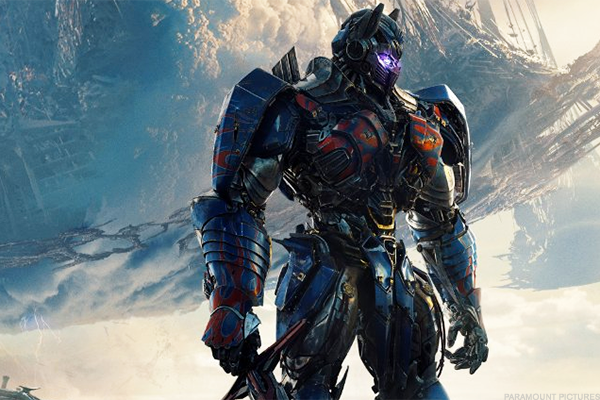 However, independent reports pegged the weekend figure for the fourth "Transformers" at $97-$98 million, which suggested that Paramount had inflated the figures. Respected online magazine Deadline titled its box office wrap-up "Paramount Stakes Claim to $100M Three-Day Gross, No One's Buying It." In recent times, it is the only instance where a box office figure that has been reported by a studio has been called into question. It is a question that hasn't been settled, as Paramount has stood by its three-day figure for the fourth "Transformers," but the brouhaha reflected tension between an industry desperate for a $100 million opening and journalists desperate for honest reporting. 5. "Transformers: The Last Knight" monopolizes the new release market. This Wednesday, June 21, Paramount will release the fifth installment in the "Transformers" franchise into theaters, returning to the mid-week release strategy. The film will be facing monster expectations, given the franchise history and its status as the sole summer tentpole for Paramount. Given that box office numbers this summer have reflected franchise fatigue, it may be difficult for "The Last Knight" to recapture the domestic success of its predecessors. One factor may help the film thrive in theaters, however; it is the only new release this weekend, and because it is debuting on a Wednesday, that means there are no wide releases scheduled for Friday. It is the first time in recent history that a Friday in the thick of the summer is devoid of new releases, as it appears no studio wanted to compete against "Transformers." It's a remarkable testament to the enduring strength of this franchise, and perhaps a sign of respect from the other studios: of all the franchises hitting theaters this summer, "Transformers" has perhaps been the most transformative.